In today’s fast past world parents are spending more time in their cars rushing from place to place, loading their kids in and out of the car, taking them all over town trying to get their errands done. But in their haste, some parents are so caught up in the moment that they are skipping one of the most important, and easy steps to keeping their kids safe – securing them in Child Safety Seats. It would seem in our very safety conscious society that using a child safety seat would be a no-brainer, but many parents don’t realize the very real danger that they are putting their children in by not using a safety seat. Investing in a quality Child Safety Seat for the car is one of the most important purchases a parent can make to ensure their child’s safety. In the United States the leading cause of death for children 2 to 14 years of age is motor vehicle accidents. Children that are not properly secured in a child safety seat are often times injured because a vehicle seat restraint, or seat belt, can not properly secure a child. Children are jarred from their seat and crash into the stationary objects in the cabin of the vehicle. Even in minor to moderate accidents, children suffer neck, back and even brain injuries. 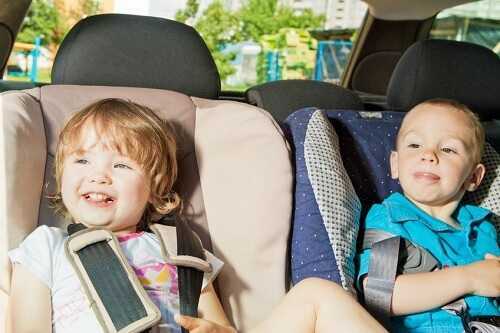 Severe accidents where the child is not properly secured, usually result in child fatalities. Each of the 50 states have laws that require children to be secured in an approved Child Safety Seat, but the law cannot prevent a tragedy if a parent that does not use a seat is involved in an accident. Child safety seats can found in stores such as Babies R Us, Target, K-Mart, and Costco. Many on-line retailers also carry a variety of seats that will fit most budgets. If a parent cannot afford a safety seat, there are many resources available to them. In some cities the local hospital, fire department or police station will have safety seats available or offer vouchers for the purchase of one. A search on the Internet can also provide information on available local resources. Parents should never take a used seat from an unknown source because seats that were installed in a vehicle that was involved in an accident may be structurally compromised, and older seats may not meet current safety standards.